Desperate Sons by Les Standiford | What Would The Founders Think? Ohtsuka Y bupropion sr generic Nakaya J.. Early 18th Century America was a place where people enjoyed unparalleled freedom of opportunity, the ability to govern themselves to a hitherto unprecedented degree, and a standard of living which would have been the envy of their peers in England. It was only when England sought to exercise, what it saw as it's legitimate prerogatives, that the colonists began to chafe under British rule. The legislation passed and policies implemented by a tone-deaf government was all that Desperate Sons like Samuel Adams needed. This book is the story of men like Adams. Desperate Sons is a dispassionate account of the radicals who fomented the American Revolution. The story told by Les Standiford revolves mostly around the sons of liberty in Massachusetts, in particular Samuel Adams. Desperate Sons provides a clear picture of the events leading up to “the shot heard round the world,” and this reader found it a nice complement to Harlow Giles Unger’s American Tempest and Ira Stoll’s biography of Samuel Adams. In Desperate Sons, the author does a thorough job explaining the history behind the Townshend Acts, the infamous Stamp Act, and the reason why a seemingly insignificant tax on tea would result in the Boston Tea Party. (His explanation of the ramifications of allowing direct shipment of tea to the colonies is excellent. While it resulted in seemingly cheaper tea for the colonists, there were unintended consequences to other parties than merely the consumers.) Throughout, Standiford shows the ebbs and flows of colonial sentiment and how the British government consistently, so to speak, misread the tea leaves. The readers is left with a portrait of an inept government. But, the picture painted by Standiford is done in muted tones. The book’s title had this reviewer expecting something a bit different. The author does make use of the occasional reference to (more) contemporary events in his description of the mobs that “Liberty Boys” like Samuel Adams and James Otis successfully manipulated in Boston. But for the most part, Standiford refrains from much in the way of editorial or interpretative commentary. He sets out to put forth the facts and doesn’t spend much time on varnish. The reader is left to draw what conclusions he will. Standiford does make an exception in his avoidance of ties to the present, in the final chapter of the book Standiford makes some comparisons between the modern day “Tea Party” and the Sons of Liberty. Standiford evidently doesn’t think there is much similarity between the two movements. Nor is there much doubt that Samuel Adams and his steadfast states’-rights compatriots would be appalled at the size and nature of the current federal government, its annual expenditures, and its dizzying array of taxes,. 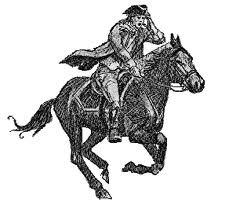 However, for contemporary patriots supposing that Samuel Adams would champion any talk of rebellion or violent action against the government, they might consider the old revolutionary’s comments regarding the violent uprising known as Shays’ Rebellion. What excuse then can there be for forcible opposition to the laws? If any law shall prove oppressive in its operation, the future deliberations of a freely elected representative, will afford a constitutional remedy. Standiford is probably correct in his conclusion about Adams’s likely thoughts on any proposition of violent revolt against the federal government. However, no Tea Party group to this reader’s knowledge is advocating any such a thing. Perhaps more interesting, is that Standiford shows how radicals like Samuel Adams pushed their government to over-react. Men like Adams were not content to let peace reign when the government backed down, such as when it rescinded the Townshend Acts, or when it pulled troops out Boston. There were periods of time when Adams and his compatriots found it difficult to stir much fervor for their cause. But Adams’ “whispering pen” was never silent. He was an instigator who Standiford says personified his cause. Desperate Sons briefly alludes to the tension between Adams and John Hancock that Harlow Giles Unger paints so vividly. Men like Samuel Adams and Patrick Henry remained active politically behind the scenes, but found it difficult to transition into a major role in the national government. They were too radical. Standiford’s description of Adams’ willingness to accept the bloodshed required by revolution isn’t so different from Lenin’s famous statement about eggs and omelets. Certainly, Adams would over time be reviled as an ultimate propagandist and rabble-rouser, but at the same time he is identified by many as the one individual above all who guided the country to a revolution that is alternately regarded as glorious, bloody, and inevitable. And this is the subject that this reader thought this book, from its title, would be a commentary upon. Instead, however, Standiford avoids interpretation and holds himself to recounting the facts and providing a flavor for the time in which Desperate Sons provoked revolution in America. The risks were enormous, the consequences of failure potentially fatal, and the justification perhaps dubious, at least at the onset. Early 18th Century America as described by historians like Gordon S. Wood, was a place where people enjoyed unparalleled freedom of opportunity, the ability to govern themselves to a hitherto unprecedented degree, and a standard of living which would have been the envy of their peers in England. It was only when England sought to exercise, what it saw as it’s legitimate prerogatives, that the colonists began to chafe under British rule. The legislation passed and policies implemented by a tone-deaf government was all that Desperate Sons like Adams needed.